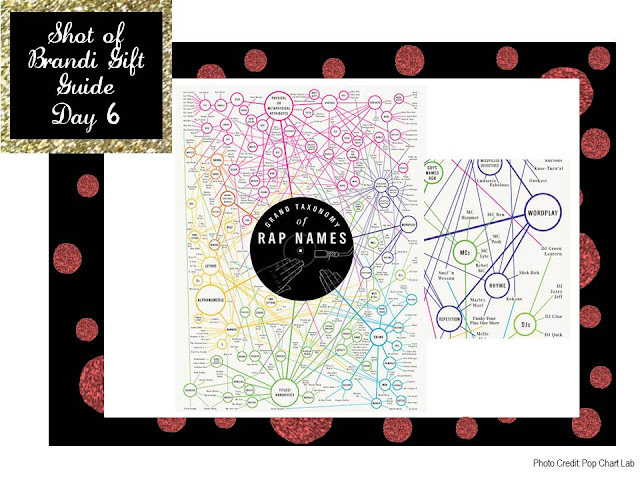 For the thug on your list that has everything, let me suggest the Grand Taxonomy of Rap Names poster. Perfect for the home or office, visitors will be amazed at the names on this list. Everyone from Trick Daddy to Coolio, don't be surprised if your friends breakout in song. Another bonus? It’s under $30!